Complete refurbishment of the hotels front of house food &beverage offering, showcasing two show kitchens and an island style wine bar. Complete new concept with the latest in technology, state of the art joinery and stainless steel fabrication. Southern Hospitality is proud to be New South Wales' exclusive distributor of Santo Alessi - currently seen on television shows Masterchef and Everyday Gourmet. Santo Alessi, once known as Elischer pottery, was founded in 1947 upon the values of innovation, high quality and uniqueness. Today, it is a contemporary style crockery range with distinct designs and non-traditional shapes. This crockery has been hand-crafted since the business' conception, placing personal care in every plate and bowl while giving a distinct, freeform personality to each item crafted. This new Santo Alessi range is designed to bring a touch of class and stylisation to the modern restaurant. Our range of Santo Alessi products offers a wide selection of shapes and sizes, currently available in Satin Black and Satin White. The range is made of magnesium porcelain and is microwave, dishwasher and oven safe, as well as coming with an edge chip warranty. Begin your collection of sleek Santo Alessi crockery here! Southern Hospitality, working in partnership with Norths has helped create a truly sophisticated experience, full of golden tones and moody sultry lighting, using quality materials and contrasting raw textures. 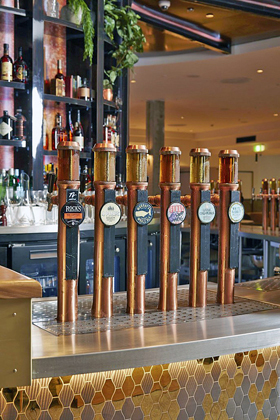 Inspired by a garden lounge and featuring a room-dominating bar and custom made copper-piped craft beer and cider taps, it offers a variety of private and more social gathering areas. In early December the Ovolo Woolloomooloo Hotel held its ‘Housewarming’ opening night to showcase its stunning, hip new renovation. 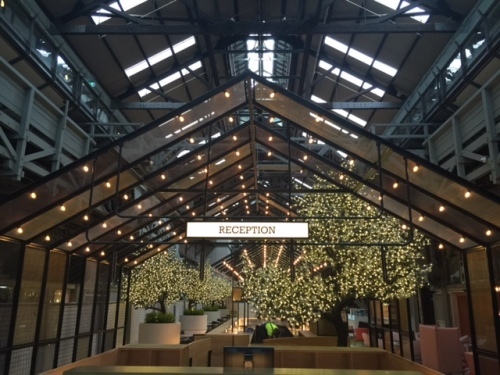 Now Ovolo Woolloomooloo has officially opened its doors and Southern Hospitality are happy to have been part of the renovation. Situated on the heritage listed Woolloomooloo Wharf, the amazing renewal of one of Sydney's most loved locations sees Ovolo breathe new life and energy into the wharf on the 100 year anniversary of its completion. Whilst the building's old-school character has been retained, all 100 guest rooms and public spaces have been reimagined with hip, funky design elements. 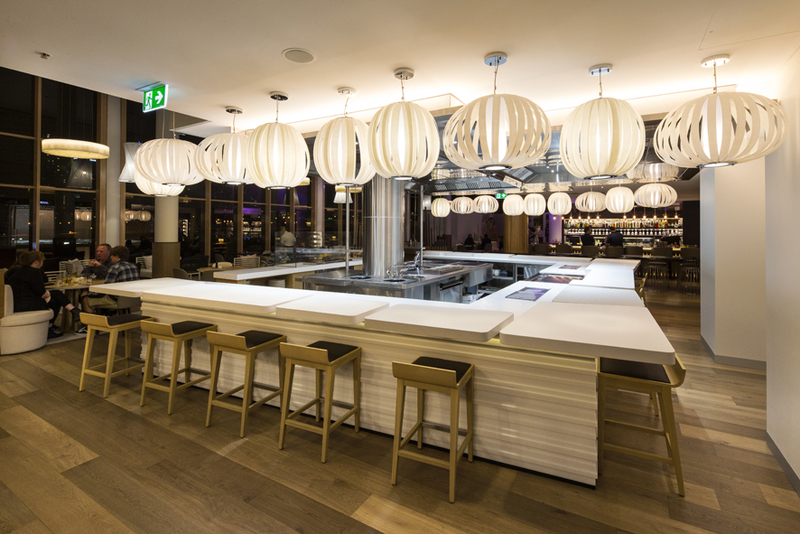 Photos truly cannot do justice to the beauty and vibe of the hotel's recreation, so if you're in the neighbourhood you can find the crew at 6 Cowper Wharf Rd, Woolloomooloo, NSW. INTRODUCING KOPA PROFESSIONAL CHARCOAL OVENS! KOPA charcoal ovens are high quality, commercial-grade grill ovens that allow you to prepare dishes with that unique barbecue aroma quickly and easily. The high quality commercial construction offers cooking temperatures from 250-450°C at 45% lower fuel consumption than conventional open grills. Controlled charcoal smouldering ensures that flames are contained and no food is scorched, while the insulation system retains heat, saving on energy and operating costs. As well as fuel efficiency, KOPA ovens grill much faster than an open grill and can roast a 4cm, 350g steak to medium rare in just four minutes. -An All-Rounder: Temperature is kept constantly high, allowing you to quickly cook meat, vegetable, pizzas, flatbread and more. -Quality Manufacture: The quality of the KOPA grill oven’s innovative construction is seen in all its products through distinct texture, tempting aroma and excellent taste. -Easy to Operate: When starting a fire in the KOPA grill oven, the heat is regulated with the two hatches. Open both when igniting the kindling; after you reach the desired temperature, close the bottom hatch and regulate the heat with the top hatch. It’s as easy as that. You can constantly monitor the temperature with the gauge on the oven door. -Ergonomically Friendly: KOPA ovens have a special system that allows you to open and close the door safely with only one finger. The insulation prevents heating of the surrounding area, so the cook is spared overwhelming heat from the oven. -Elegantly Functional: Modern and elegant design to impress your guests even before the meal. Stainless steel and the enamelled colour front guarantee the shine and durability of the paint despite the high temperatures. For more information on KOPA ovens, freephone us on 1300 065 640 or see our KOPA products here. 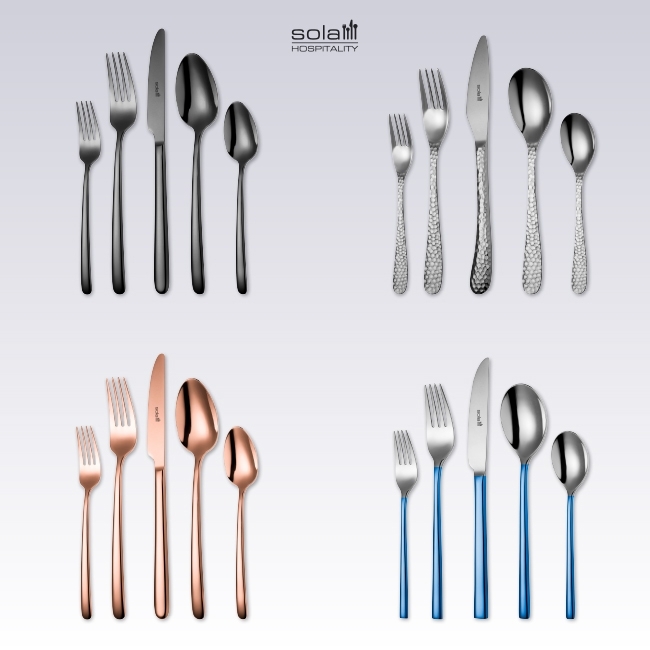 Founded in the Netherlands, Sola has been offering a wide range of cutlery products for the past 92 years. The factory offers many different styles, varying from classic to contemporary designs in stainless steel, silver-plated and sterling silver in different price-levels. New designs based on the latest trends are regularly being introduced. Using high quality steel from Korea, Japan and Australia, they design and manufacture sophisticated products which are priced competitively. All the products are made using 18/10 steel. 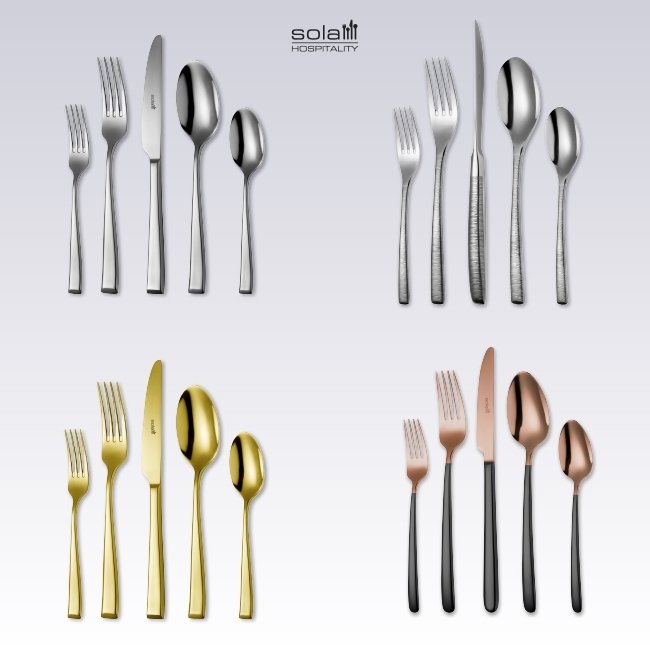 The Sola cutlery range is also available in a variety of Physical Vapor Deposition (PVD) coated colours including Black, Gold, Bronze and Blue in a Satin or Mirror finish. In addition to this, Sola is offering a brand new innovation – the combination effect, where the handle is one colour and the top is another. PVD is an eco-friendly vacuum coated process that is widely applied on different categories of products such as jewellery, door hardware, car accessories and marine fittings. It is not easy to chip, fade, corrode or tarnish and most importantly, it is food safe. The Sola PVD coating is a high-quality finish and comes with a 2-year warranty to hold its colour in commercial use. Samples of these products are available to view in our Parnell and Christchurch branches. Product delivery period is estimated 4-6 weeks from date of order. Trim and clean the rack of lamb. Place the lamb into a vacuum bag along with the crushed pepper, kalamata olives, spring onion, crushed garlic, olive oil, fresh rosemary and thyme. Seal the bag and set aside to marinate in the chiller for at least 2 hours. After marinating, place the bag into the preheated sous vide water bath for 2 hours. Once cooked, remove the rack of lamb from the bag. Set aside the lamb jus and other ingredients. Sear the lamb rack over a moderate heat until golden brown. Roughly chop the kalamata olives and garlic from the bag. Spread a thin layer of the Dijon mustard over the lamb before adding the chopped kalamata olives and garlic. Season to taste. Place the rack of lamb in a preheated oven at 180°C (356°F) for 5 minutes. Place the lamb stock and the remaining contents of the vacuum bag into a pan over a low heat, simmering for 2 hours, tirring occasionally until thickened. Strain through a fine sieve before setting aside. Place the barley into a pan with the chicken stock to cook until soft. Add the edamame before seasoning to taste. Set aside. Slice the lamb before adding to a serving platter along with the starch. Drizzle over the jus to complete the dish. 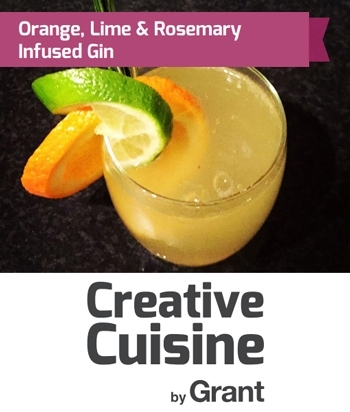 Check out Grant Cuisine's 65th Anniversary Cocktail: Orange, Lime & Rosemary Infused Gin made by Arran Roberts, the Commercial Manager at Grant Creative Cuisine. Preheat your sous vide water bath to 58°C (137°F). Slice your lime and orange slices before adding to a large vacuum pouch/resealable bag along with the sugar and fresh rosemary. Add the Gin to the vacuum pouch/resealable bag. Keep the Gin bottle for later. Remove the air from the vacuum pouch/resealable bag before sealing. Place into the sous vide water bath to infuse for two hours. Once two hours have elapsed, add the bag to a bath of ice water to cool for 1 hour or until cold. Strain the contents of the pouch/bag through a fine sieve, squeezing the fruit to ensure all liquid is collected in the bottle. Add the contents to the Gin bottle using a funnel. Give the contents of the Gin bottle a good shake before adding a measure to a glass. Top up with tonic water before garnishing with lime and orange slices and crushed ice. Enjoy! Introducing Grant Creative Cuisine, a complete range of high quality consumer and professional sous vide equipment including portable immersion circulators and water baths. With over 60 years experience designing and manufacturing sophisticated fluid temperature control systems, Grant has a worldwide reputation for the highest levels of quality, reliability, service and support. All manufactured in the United Kingdom, Grant includes a range of tools, from the Uno sous vide controller and Primo range water baths for the at-home cook to the Pasto water baths and Vortice portable immersion circulator for the professional chef. 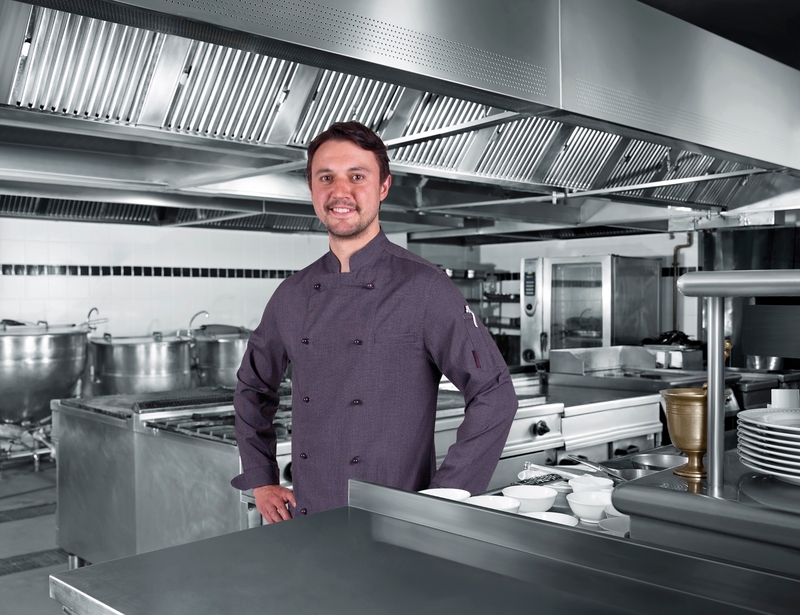 All Grant products are offered with full product warranties and are the preferred choice of leading chefs around the world due to their quality, reliability and durability. View all our Grant Cuisine products. For further information, send an email to weborders@southernhospitality.com.au. Thanks to Grant Cuisine for this delicious recipe. 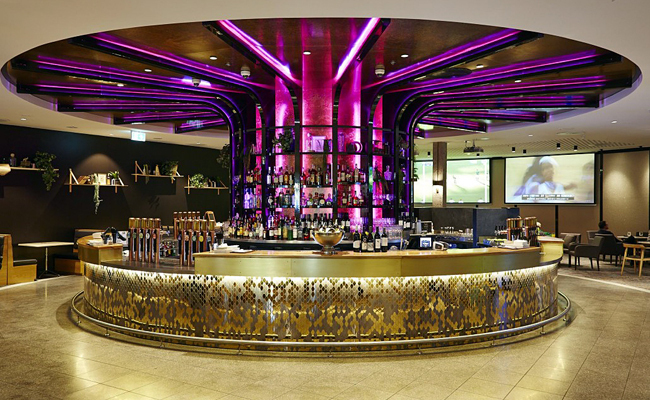 On The Go Thai Restaurant and Bar recently opened at the Sydney Olympic Park, and Southern Hospitality are proud to have been involved in the creation of such a beautiful restaurant. Sporting a dock-market aesthetic with boats and thick ropes suspended from the high ceiling, On The Go Thai is more than charming, with gorgeous Thai-inspired wall art adorning the interior walls.